Doing your ironing and laundry can be a major chore, for most it’s the monotonous task, others the inconvenience, and some just don’t have time for it. However, it’s not something you can simply skip, having neatly ironed and clean clothes is a must to maintain a professional image and can help people’s initial perception of you by a long way. Therefore, it’s a good idea to get your ironing and laundry done for you, whilst you spend your time getting on with work, or maybe taking a break from it, you could have a professional to do the job for you with no hassle or fuss. Imagine being able to completely eliminate the task of taking time out of your day and spending what seems like an eternity, ironing and folding those shirts and trousers. An ironing service such as the one Sam’s Cleaning offers, allows you to have your laundry collected, ironed and delivered back to you when you need it. Whether you need a regular ironing service, or maybe have a wedding or business trip to attend, their cleaning service will be sure to impress. An ironing service such as this one will have equipment of the highest standard, so will be capable of taking either large or small loads. 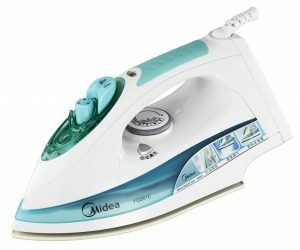 This allows you to have your ironing done weekly, for things like work uniforms or on demand in order to put an end to that last-minute Sunday night ironing. When you have anywhere from a wardrobe of shirts, to your whole family’s clothes, ironing can take up hours of your time, which could be spent much more productively elsewhere. 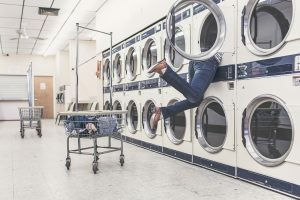 After a long day at work, no one wants to have to come home to a mountain high pile of laundry to get through, which is why it’s so common for people to have this service done for them. 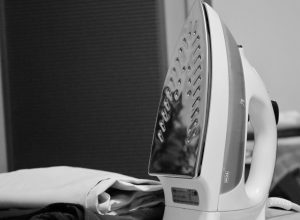 Whilst you’re busy at work or out running errands, a professional ironing service could be taking on this achingly dull task for you and getting the job done with ease. Being able to come home every day and put your feet up for the evening, with no worries in mind, is what really makes this service worth your time. It’s the little things you don’t notice, where you truly benefit from having this service done for you. 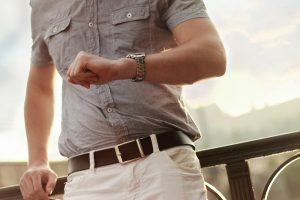 Things like getting to bed early, instead of staying up late getting that last shirt pressed and folded, or catching the transport on time where otherwise you’d be struggling to get the creases out of your trousers. It truly improves your quality of life and can prevent all these little stresses that can get to you throughout the day. Having your clothes neatly ironed and pressed can also improve your mood, it’s great to look good, and when you do, you feel good. It’s the little compliments you get, that you’re looking smart, and the perception that you look after yourself, that really makes it worthwhile. If you’ve come to the conclusion that ironing isn’t for you, and it’d be much more convenient to hire the services of a professional, Sam’s Cleaning is here to help. Their ‘Collect, Iron and Deliver’ service is the best you will find. Whether you require a more regular service, or something on a weekly basis, they can meet your needs; with delicate items cared for and professional folding, you’ll have nothing to worry about. So why not visit their site today, or contact 07712 227517 for more information.